Abstract: Travel makes us better human beings: wiser, more aware and open minded. Airwheel manufactures the market connected and sleek products to seamlessly combine cutting-edge technology and design. Its latest product SE3 motorized ridable luggage takes your travel game to the next level. For frequent flyers, they love technology, share a passion for travel and experience diverse cultural backgrounds. 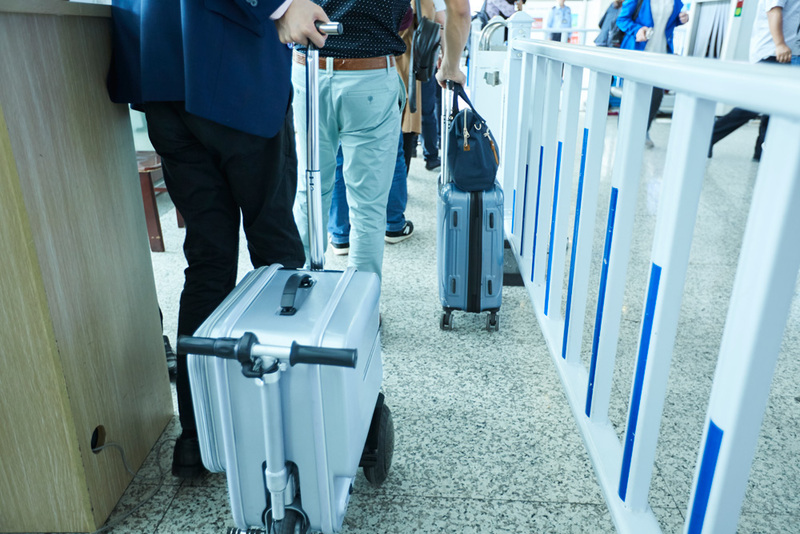 While Airwheel developing the product, all models have been designed keeping in mind both for fun and for utility, for instance, the SE3 ride on luggage for adults taking your travel game to the next level. Airwheel SE3 can serve as a suitcase, as well as a smart transportation vehicle. As a suitcase, with reasonable layout, SE3 electric suitcase gives you opportunity to arrange the travel items under categories. The large inner space with the ability to pack your all items easily, allowing you to enjoy a pleasant journey. As an electric scooter, the three large wheels with special treads and excellent grip performance make it possible to overcome various road conditions while riding. 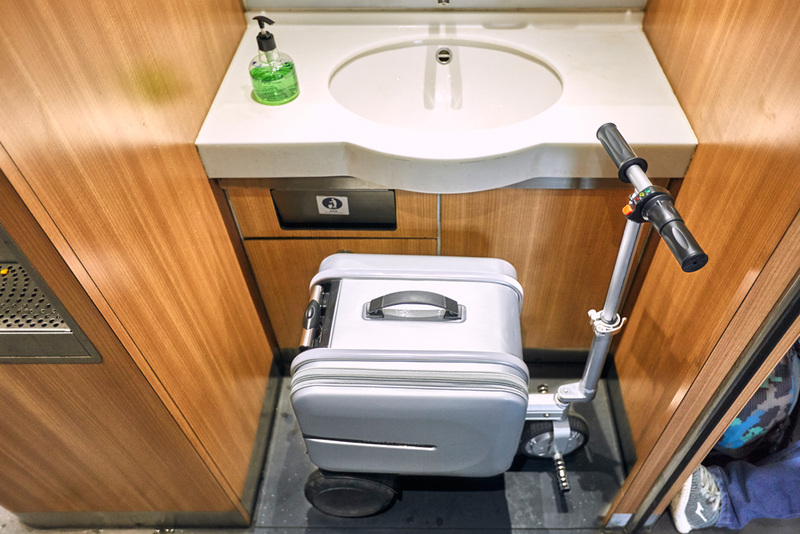 You can ride SE3 motorized ridable luggage to catch planes, bus or trains. riding it requires no special field. Wherever in the street, parks, or indoor, riders can ride it freely. Anytime and anywhere, you can count on SE3 to have a rest. Airwheel SE3 is not just a luggage set. It's the result of years of R&D and obsessive hand-picking of each material to make it look every bit as powerful as it is. Equiped with aluminum alloy rod to increase its strength and reduce the shake of the pull rod. Also, the rod adjustment design adapts to different heights. Its automatic retractable design lets SE3 carry-on smart luggage save space to the maximum. It can expand and contract automatically with one button-push. Whether your next trip is to discover a country you've never been to, or simply to spend a few days unwinding on a gorgeous beach, you can choose the SE3 fully functional drag-along suitcase as your travel mate to get rid of the thrill of packing bags and heading to a far-off destination.